BTC chief Hagrama Mohilary. Fie image. The Bodoland Territorial Council (BTC) chief Hagrama Mohilary has said that the Bodoland People’s Front (BPF) will continue its alliance with the Bharatiya Janata Party (BJP) in the 2019 general elections. A report published in the The Sentinel stated that Mohilary made this announcement while addressing the 30th Bodo Sahitya Sabha Annual Convention in Batadrava, near Nagaon in Assam. The report further quoted Mohilary as saying that the alliance of BJP-AGP-BPF was formed in order to “safeguard the indigenous people of Assam”. He further informed that the Bodo people living outside the Bodoland Territorial Council (BTC) area would also get the benefits of the schemes and packages especially declared for the people living in BTC. “The Government of Assam is planning to set up a separate Bodo Council for the Bodo people living outside the BTC area,” Mohilary informed. The BTC chief said that both the Congress and the AIUDF were “spent force” and urged the masses to vote for the BJP in the 2019 elections. The Annual Convention was also attended by the Batadrava MLA Angoorlata Deka, former Bodo Sahitya Sabha vice-president, Bisheswar Basumatary, and Bodo Mahila leader, Bibharani Basumatary. The BJP had also reiterated on October 11 last that they would continue their alliance with the AGP and BPF for next year’s Lok Sabha elections. 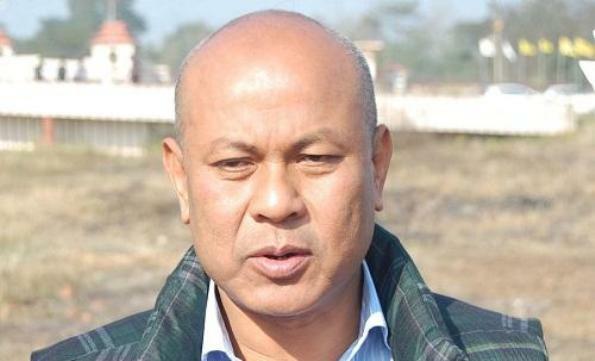 “As per the direction of our Central leadership, we are contesting the Lok Sabha polls with our alliance partners,” Assam BJP president Ranjit Kumar Dass told reporters at Majuli where the party held a meeting of the State executive committee recently. “The BJP had managed to win seven of the State’s 14 Lok Sabha seats in 2014. In 2019, the party hopes to win at least 12 seats,” Dass added.